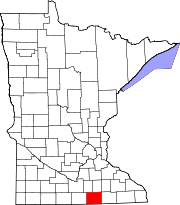 Freeborn County is a county in the state of Minnesota. As of the 2010 United States Census, the population was 31,255. Its county seat is Albert Lea. Freeborn County was created on February 20, 1855. It was named for William Freeborn, an early Minnesota politician. Freeborn County lies on Minnesota's border with Iowa. The Shell Rock River flows southward from Albert Lea Lake in central Freeborn County, crossing into Iowa. Turtle Creek flows eastward through the upper eastern part of the county, crossing into Mower County. The terrain is hilly and etched with drainages and gullies. The Le Sueur River, a tributary of the Minnesota River, begins in the northern part of the county and flows northward into Waseca County. The available land is devoted to agriculture. The terrain generally slopes to the south and east. although the highest point is near the northeast corner, at 1,296' (395m) ASL. 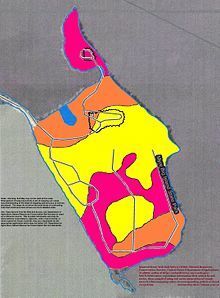 The county has a total area of 722 square miles (1,870 km2), of which 707 square miles (1,830 km2) is land and 15 square miles (39 km2) (2.1%) is water. As of the 2000 United States Census, there were 32,584 people, 13,356 households, and 9,015 families in the county. 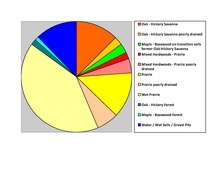 The population density was 46.1/sqmi (17.8/km²). There were 13,996 housing units at an average density of 19.8/sqmi (7.64/km²). The racial makeup of the county was 95.22% White, 0.24% Black or African American, 0.20% Native American, 0.55% Asian, 0.02% Pacific Islander, 2.92% from other races, and 0.85% from two or more races. 6.29% of the population were Hispanic or Latino of any race. 34.8% were of Norwegian, 26.2% German and 5.8% Danish ancestry. There were 13,356 households out of which 29.10% had children under the age of 18 living with them, 56.50% were married couples living together, 7.50% had a female householder with no husband present, and 32.50% were non-families. 28.20% of all households were made up of individuals and 14.00% had someone living alone who was 65 years of age or older. The average household size was 2.40 and the average family size was 2.92. 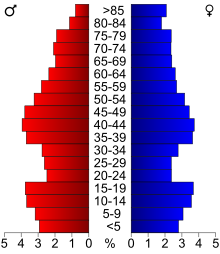 The county population contained 24.00% under the age of 18, 7.50% from 18 to 24, 25.50% from 25 to 44, 24.10% from 45 to 64, and 18.90% who were 65 years of age or older. The median age was 40 years. For every 100 females there were 96.60 males. For every 100 females age 18 and over, there were 95.00 males. The median income for a household in the county was $36,964, and the median income for a family was $45,142. Males had a median income of $31,491 versus $21,799 for females. The per capita income for the county was $18,325. About 5.60% of families and 8.40% of the population were below the poverty line, including 9.00% of those under age 18 and 9.10% of those age 65 or over. Freeborn County voters have trended Democratic for several decades. In only one election since 1980 has the county selected the Republican Party candidate (as of 2016).